Toulouse have handed Bastien Ader a new one-year deal. 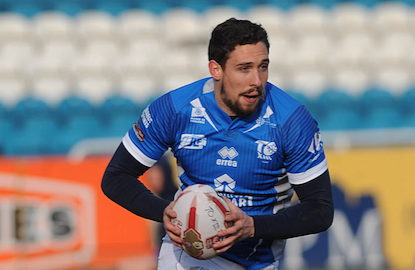 The France international is set to play in his eighth season with Olympique in 2019 after coming through the junior ranks at the club. Ader was the club’s second highest try-scorer in 2018, scoring 17 tries in 28 games. The 27-year-old centre is currently representing France in the European Championship and starred in their World Cup campaign in 2017. On his new deal, Ader said: “I am delighted to re-sign with Toulouse, the club renews its trust in me for the eighth year. Toulouse chairman Bernard Sarrazain commented: “The strength of Bastien is that he was able to work with the natural talent that was his at the base.